This hypnosis can help you to overcome your binge eating. Compulsive eating helps to alleviate negative emotions. Your brain releases feel-good chemicals when you are indulging in unhealthy food. When these chemicals wear off, you are again left with feelings of shame and despair. This self-hypnosis can help you to break the vicious cycle. Read more below to find out how. Do you constantly eat fatty or sugary food without being hungry? When you are feeling gloomy or depressed, do you immediately want to eat something? Do you eat so much that your health is starting to deteriorate? This binge eating self hypnosis downloads can help you to stop your compulsive eating. When you are binge eating, it can be extremely problematic to your health and quality of living. It can also be damaging to your self-confidence and happiness. 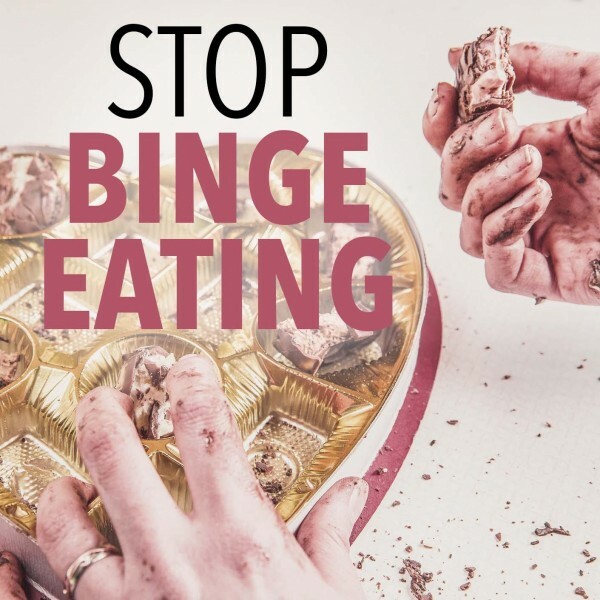 Binge eating is the result of a psychological downward spiral that begins with you trying to escape from feelings or thoughts that are negative. Your brain releases chemicals like dopamine and serotonin that makes you feel good and ease your feelings of sadness. When the chemicals wear off, the original feelings of despair is made worse by guilt and regret. Again you numb these emotions by eating carbohydrates and sugar. Stress or anxiety can also cause binge eating because your brain’s reward system helps to ease the symptoms of stress. This self-hypnosis downloads for compulsive eating may help you to deal with your negative thoughts and emotions in a way that is healthy. When you are able to dispose of these emotions in a healthy way, you may become less inclined to eat a lot of food. Your relationship with food can improve and you may only want to eat something to stop being hungry. When you address the underlying reason for your binge eating, it may help you to stop thinking of food and eat less. Your risk for type 2 Diabetes and cardiovascular issues decreases and you can find it easier to lose weight and do things you always wanted to do like kitesurfing. Your self-confidence may also increase. This can have a beneficial influence in other areas of your life. 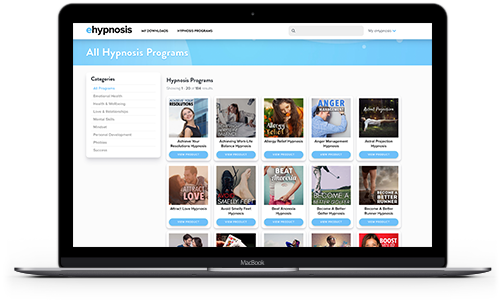 Below are different programs of hypnosis for emotional eating that you can choose from that can help you to stop your binge eating and life a healthy and happy life. 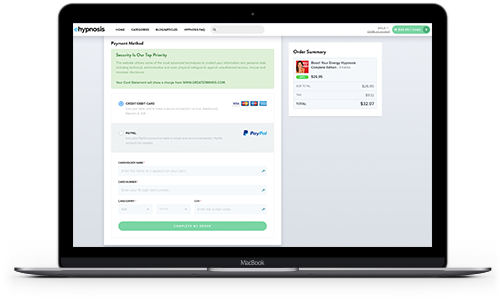 "I have ordered multiple programs by Dr. Steve G. Jones and would like to take a moment to comment on how great and reasonably priced I think the programs are. Not only do I love the programs, but I was pleasantly surprised by the quality of the customer service representatives. Thank you for all your attention and patience with this technologically impaired customer!" 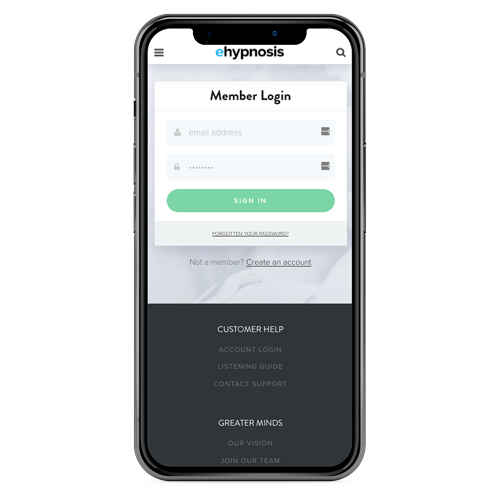 Do you want to ask us a question about hypnosis or find out more about the Stop Binge Eating Hypnosis program? Our customer happiness team answer all questions personally and promptly during our regular business hours. Does Hypnosis Work For Binge Eating? The binge eating hypnosis download can work for compulsive eating as it helps to address the cause thereof. You have a conscious mind and a subconscious mind. The negative thoughts and feelings that you are trying to eat away are located in your subconscious mind together with all your other automatic response functions. When you are under hypnosis, the conscious mind is suspended together with faulty logic and wrong past conclusions. The subconscious mind is exposed and susceptible to new suggestions and reprogramming. These bad feelings are then replaced with positive messages. If you are sad because of something that happened outside of yourself, the compulsion that you feel to eat can also be replaced with some other, healthier way. Your behavior and thoughts are wired by your subconscious mind. Whenever something happens in your life, your response to that trigger is a result of everything that is going on in your subconscious mind. 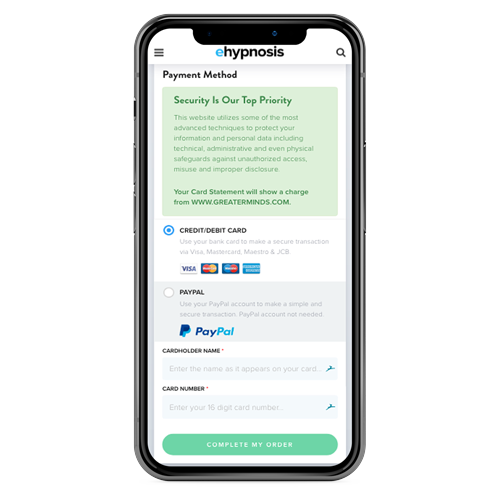 This self-hypnosis can help to alter your mind to respond to negative emotions and sadness in a healthy way instead of finding comfort by eating compulsively. The self-hypnosis can also help you to improve your mindfulness. 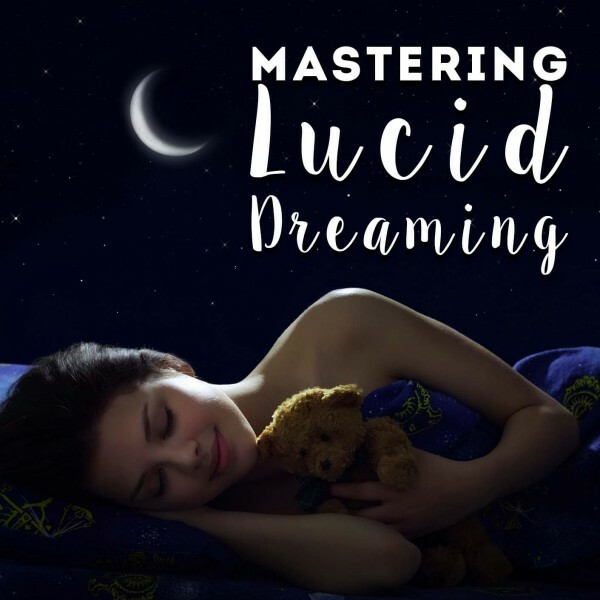 If you are binge eating simply because you like the tastes and textures of your food and you are struggling to stop, this hypnosis can help you to increase your mindfulness and stop eating unhealthily. There are many cures and treatments out there to help you stop eating constantly. These include medication for weight loss that suppresses your appetite, psychiatric treatment and treatment of depression to eliminate the need for emotional eating, psychological therapy to find the emotional cause of a person’s desire to binge eat, dieting and exercise and hypnotherapy. Medication, albeit effective, can be expensive and can sometimes have negative side effects. It can also be addictive to some people. Psychiatric treatment can also be expensive and being admitted for therapy can take precious time away from your work and family. Going on a balanced diet and exercising is always a good idea. It may take an immense amount of willpower from you, and any underlying emotional issues may go undetected and untreated in the process. Self-hypnosis is a natural and safe method to address the root of your emotional eating. It has no negative side effects and you can make use of it every day and in the comfort and privacy of your own home. It is relaxing and a good way to end your day. 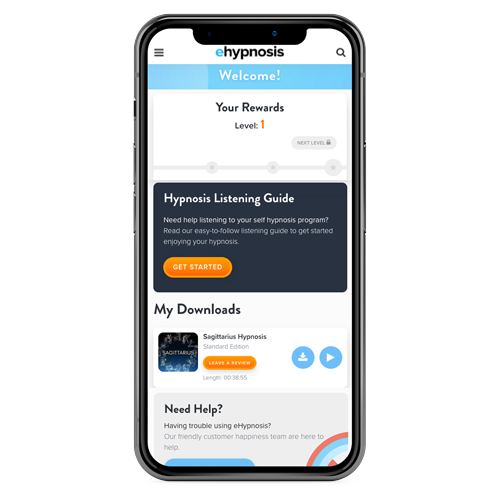 This self-hypnosis uses relaxation techniques to help you reach a subconscious state that is receptive to positive messages. Listen to it every day for optimal results!